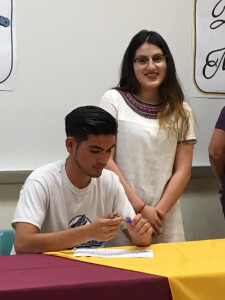 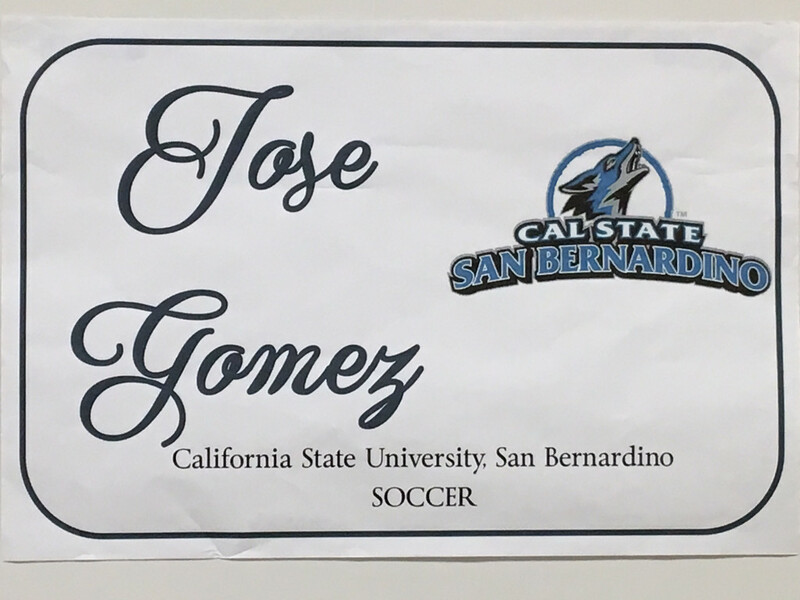 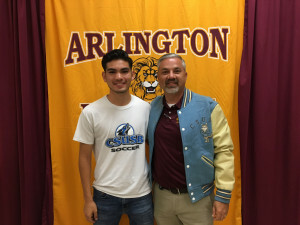 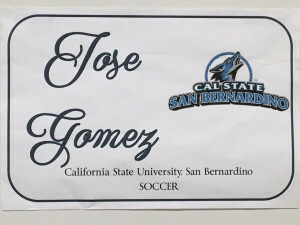 Multiple Teams · May 5 Jose “Bibi” Gomez signs with California State University San Bernardino to play soccer for the Coyotes. 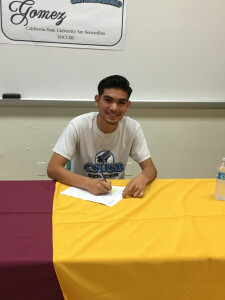 Bibi signing his letter of intent. Bibi, Jessica, Joey, and Hugo. 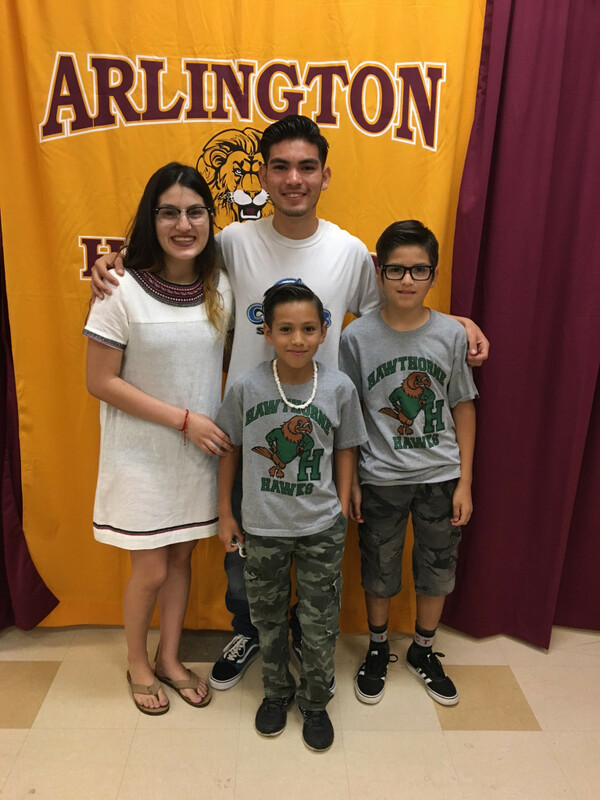 Hawthorne Hawks in the house. 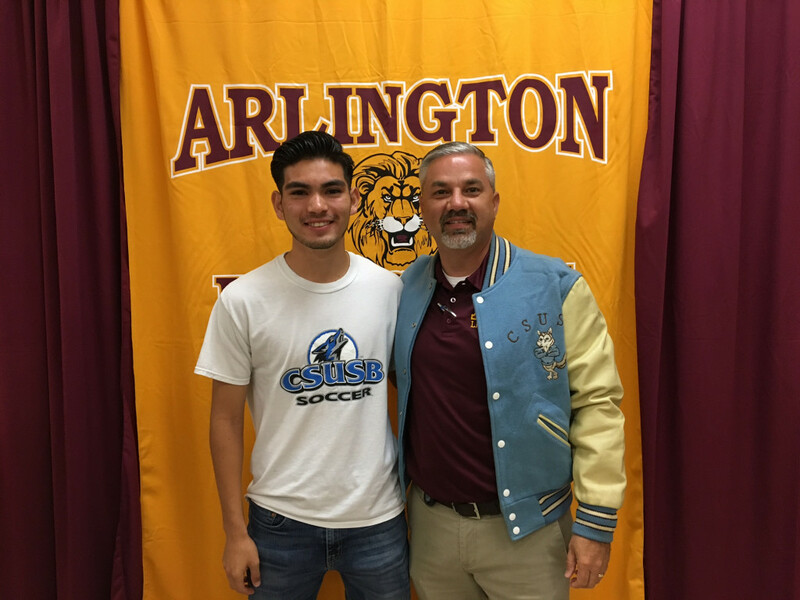 Jose and Mr. Dubuisson (proud CSUSB Alumni).